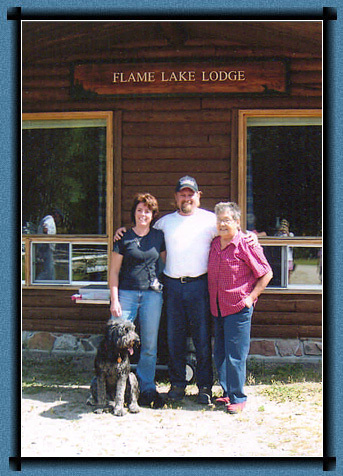 Flame Lake Lodge is located 90 miles north of Thessalon, Ontario and 45 miles south of Chapleau, Ontario on Hwy. 129. It is only a three-hour drive from Sault Ste. Marie. 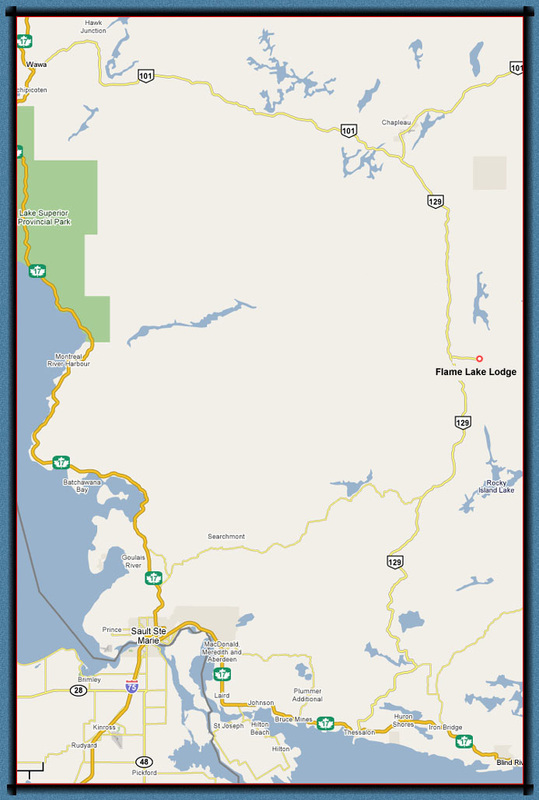 You will see our signs on the highway, then turn east onto Flame Lake Road which dead-ends at our lodge. We are 1.5 miles east off the highway. We sincerely hope that Flame Lake comes to mean as much to you as it does to us. Why not come and join our "family of friends"